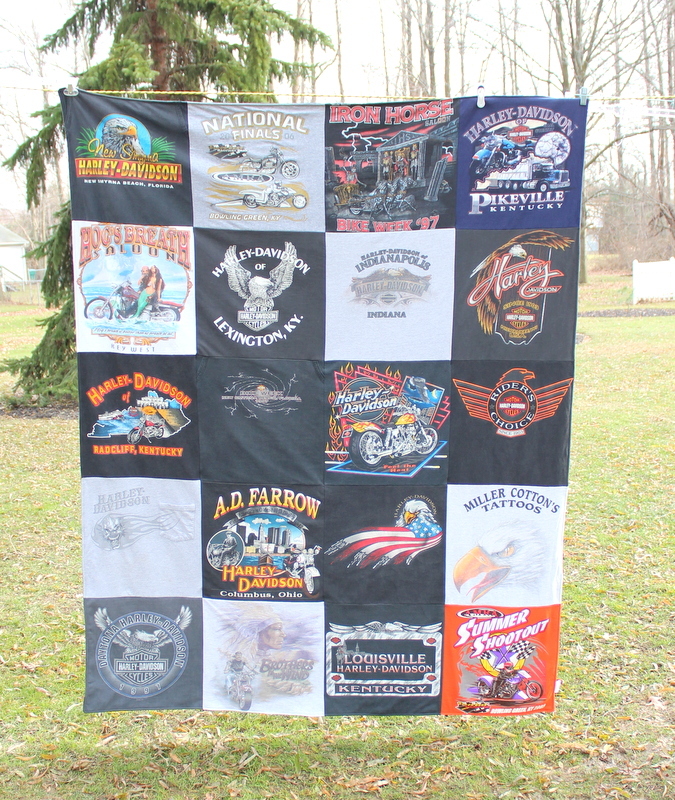 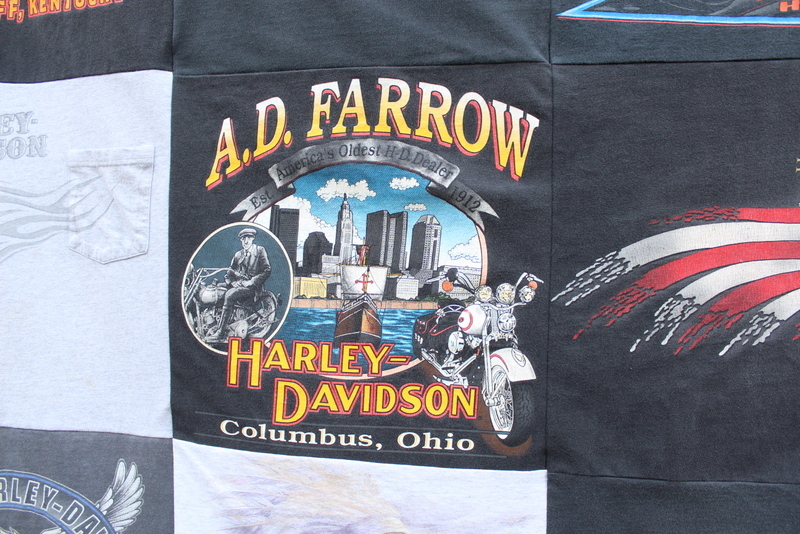 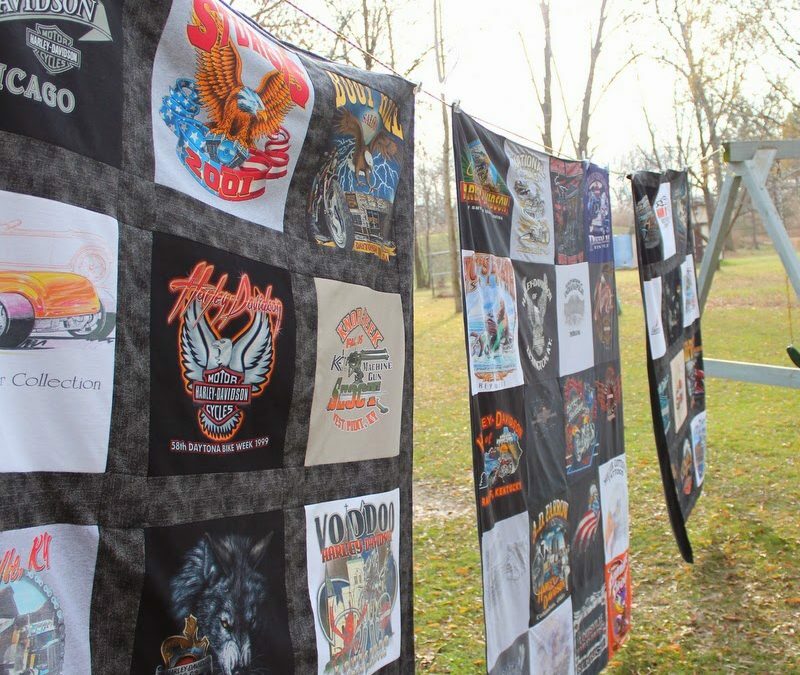 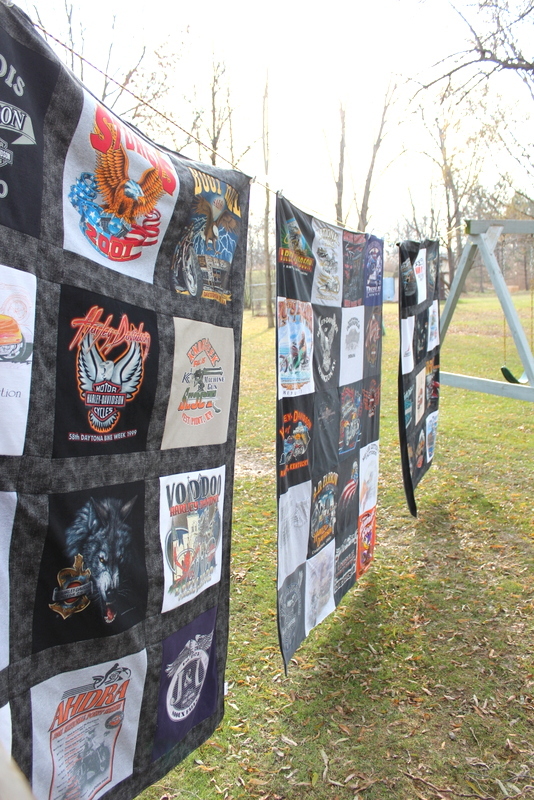 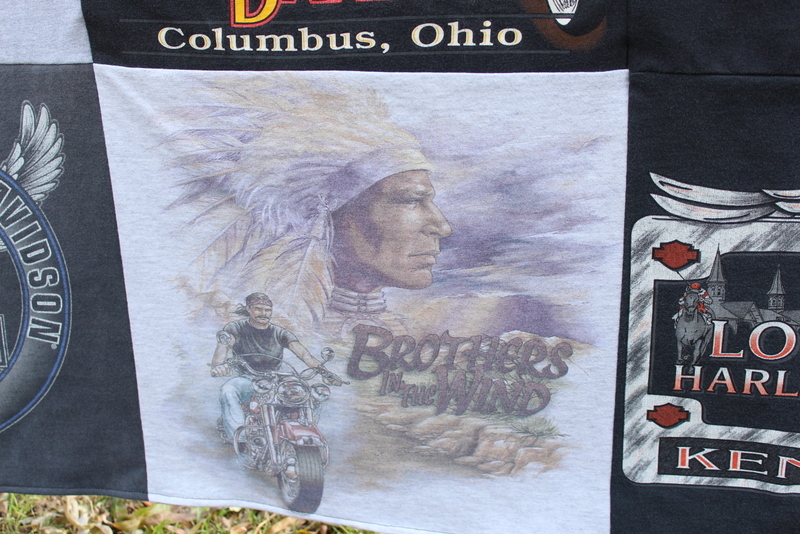 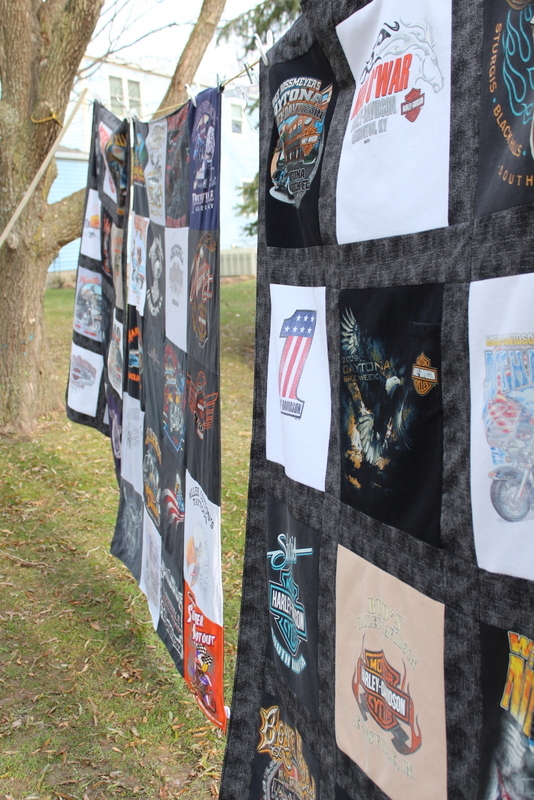 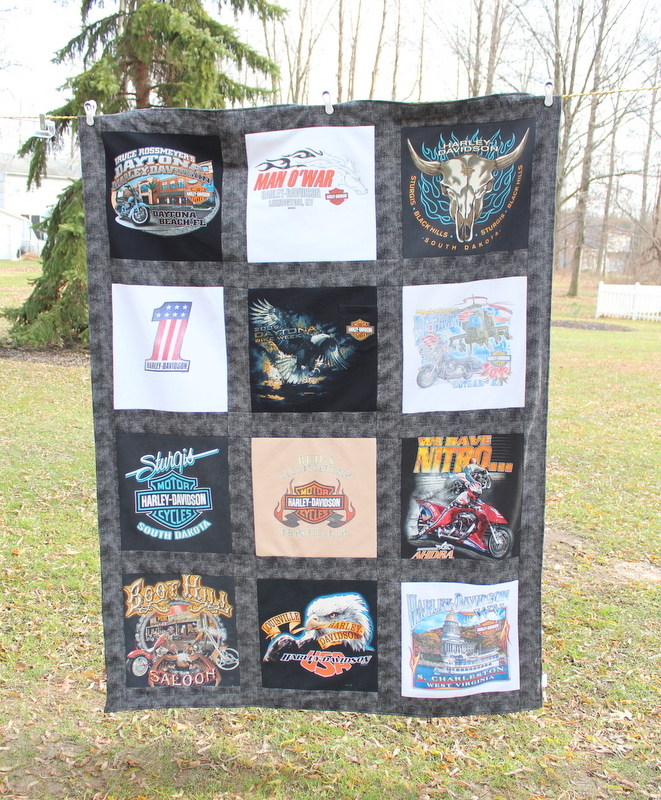 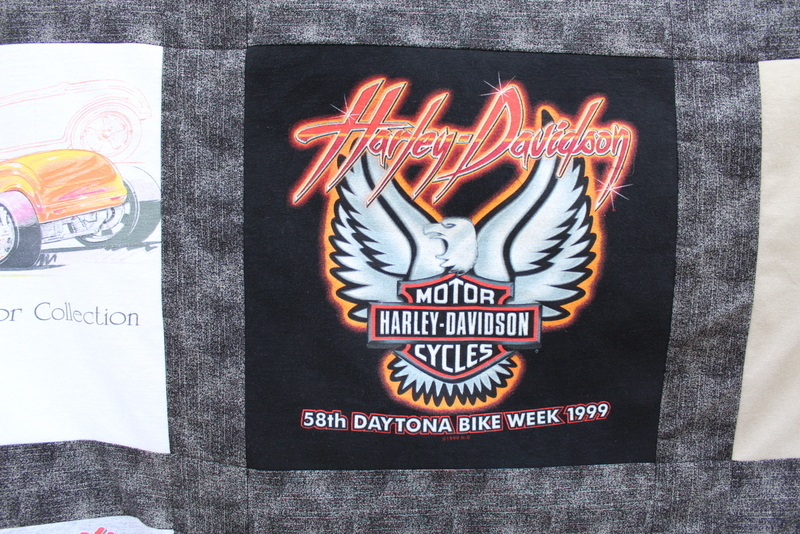 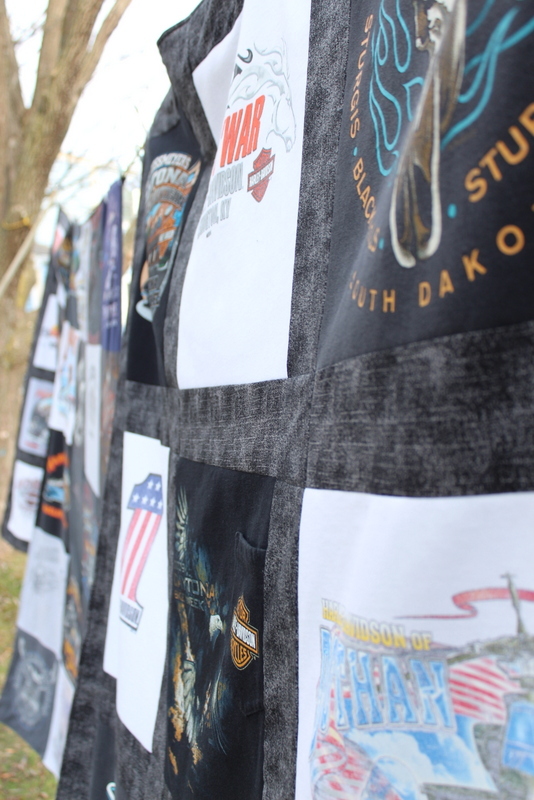 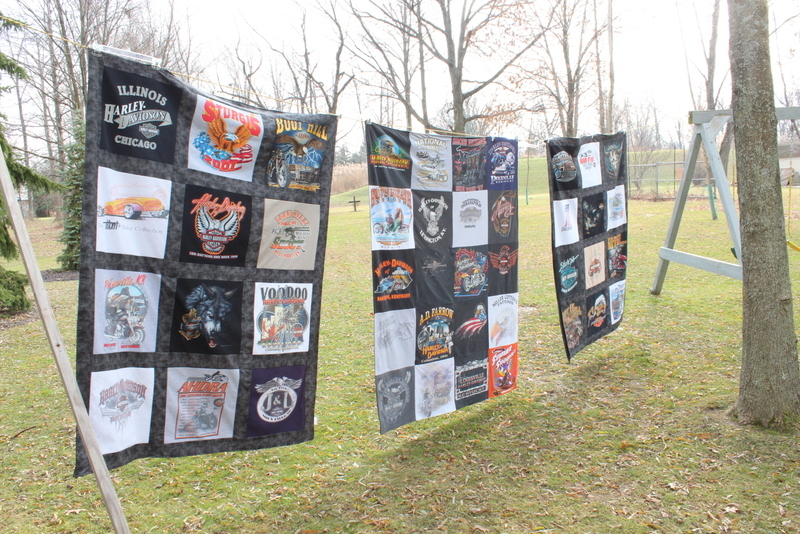 That is a lot of Harley Davidson T Shirts cut up to make these three Harley T Shirt Memory Quilts! 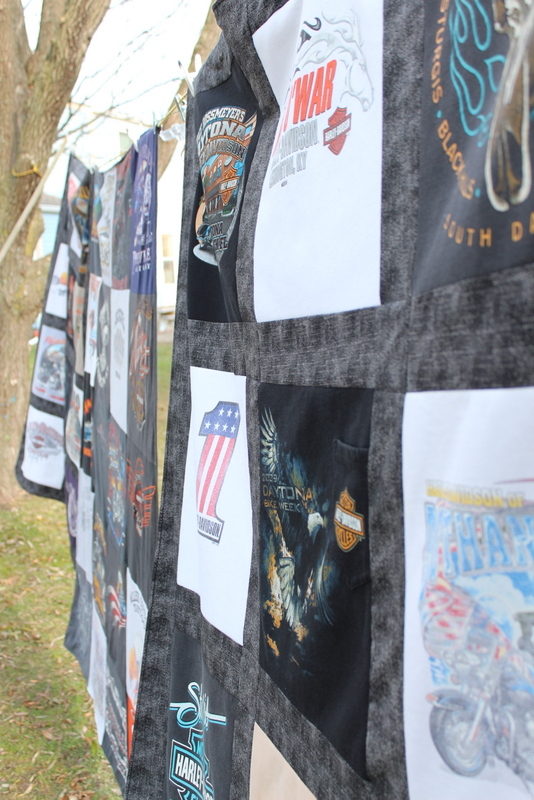 I was contacted by a woman whose friend lost her dear husband to melanoma. 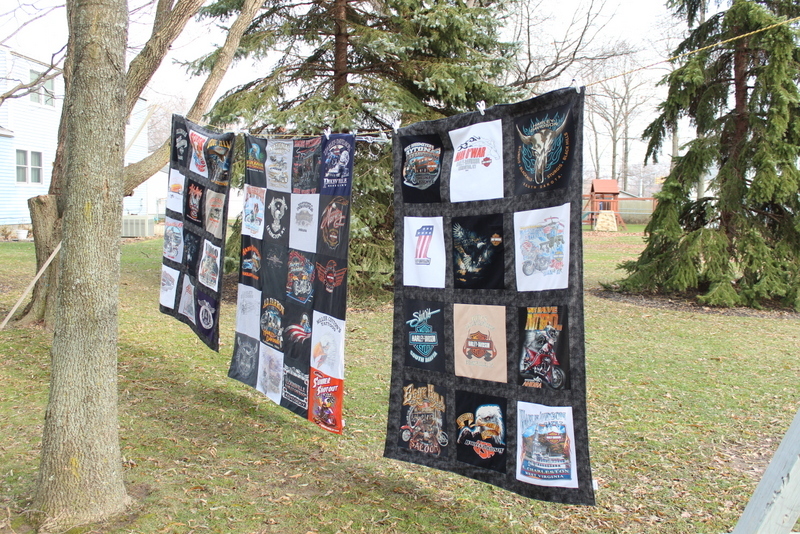 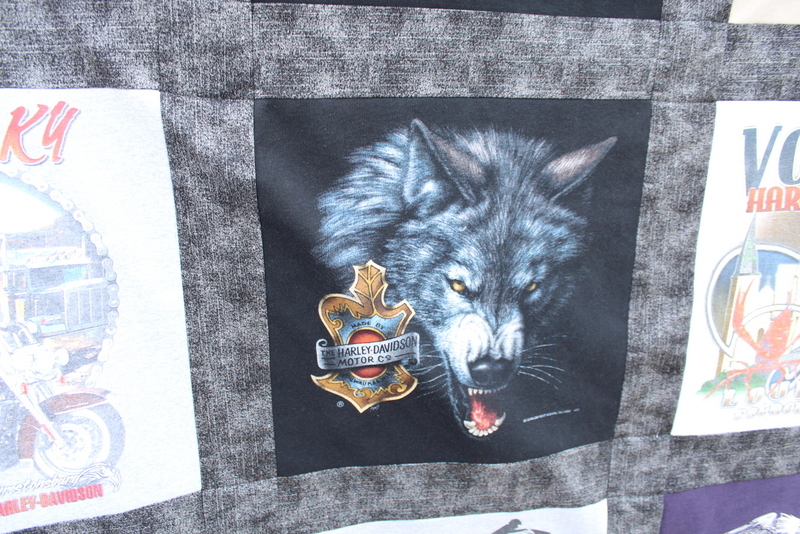 She asked if I could create three blankets – one for Donna, one for her daughter and one for her husband’s mother. 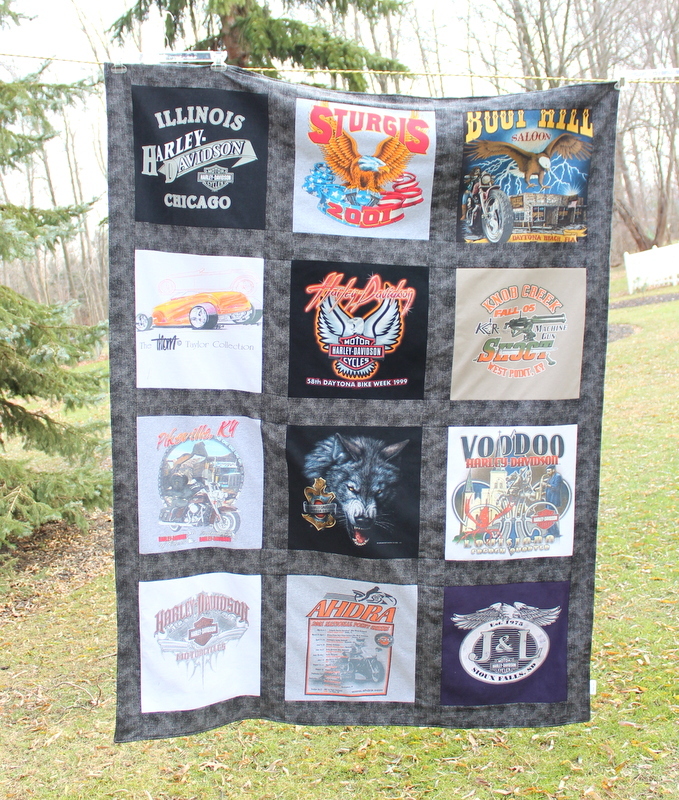 We decided on two 12-Block blankets and one 20-Block. 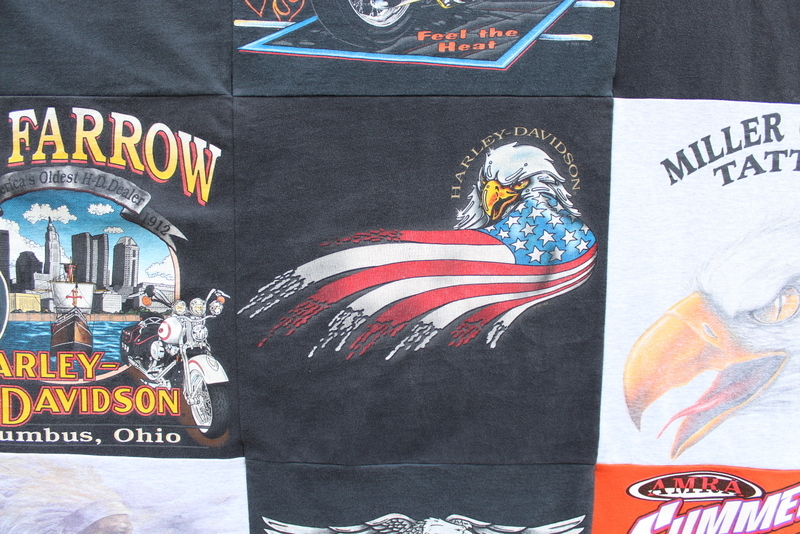 I like the sashing fabric. 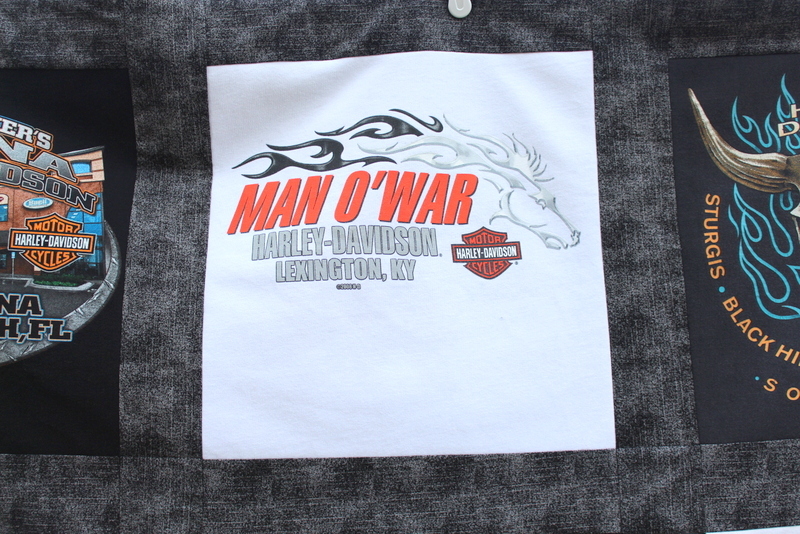 The Harley shirts have a lot of words and graphics, so a good contrast is needed. 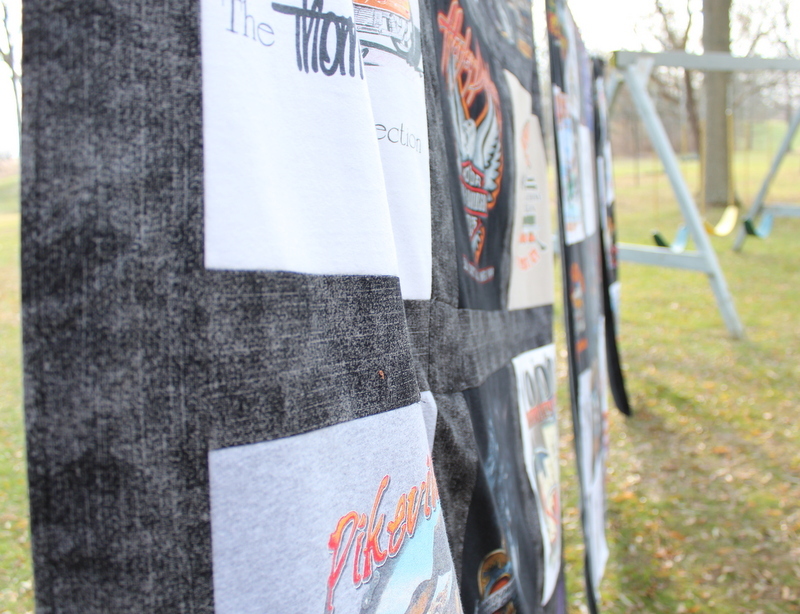 Check out some of the neat shirts lower down in this post.